In late 2013, we were asked to look at a Pugmill bakehouse, a project at the old Farnham Pottery in Wrecclesham, Surrey where the new owner had decided to set up a community bakehouse during extensive renovation works to restore the building to its former glory and create studio space for ceramic artists in the area. 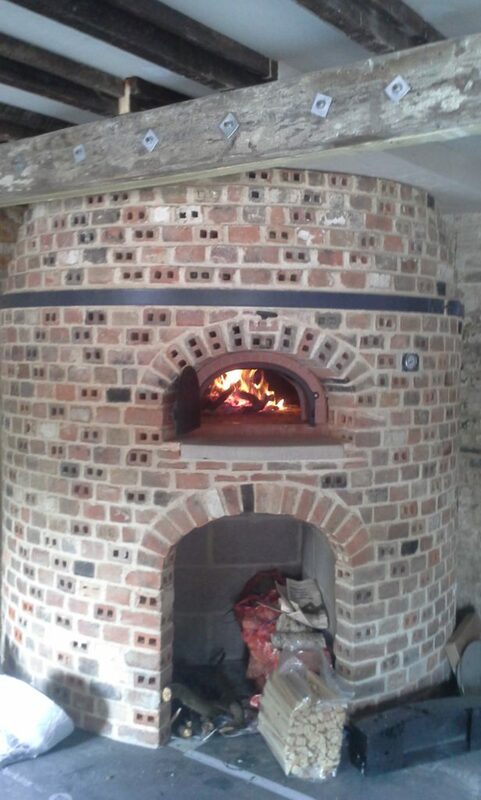 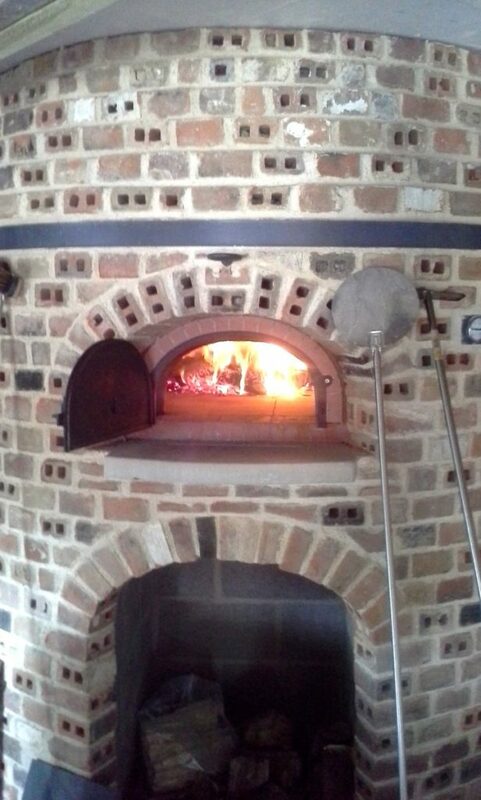 Set in the former pug mill of the building, and now known as Pugmill Bakehouse, the new bakery oven would sit at the heart of a new community kitchen and cafe so during spring 2014 we started work using an adapted Four Grand-Mere 1500 brick oven set in a circular enclosure of reclaimed bricks from the renovation work. 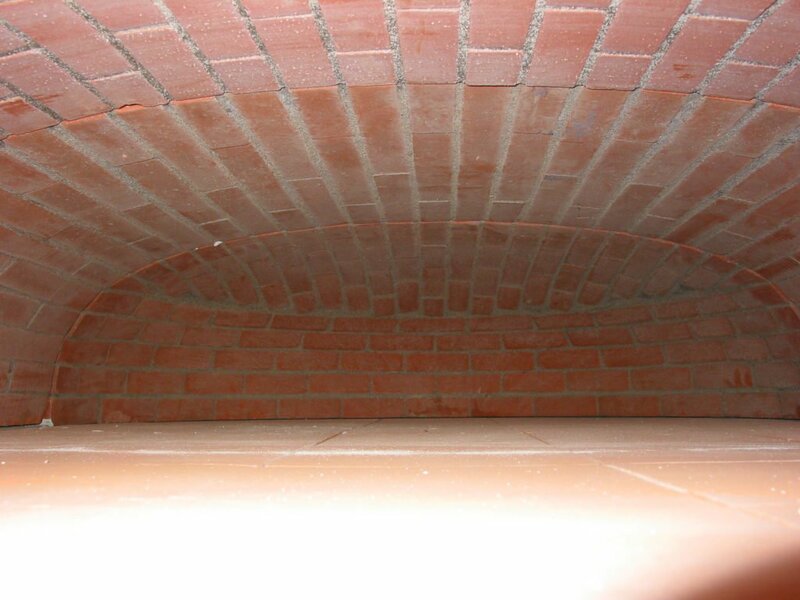 We had taken a design cue from the old bottle kiln in the yard of the pottery and recreating details like the steel reinforcement band that held the old kiln together when firing tiles and bricks. 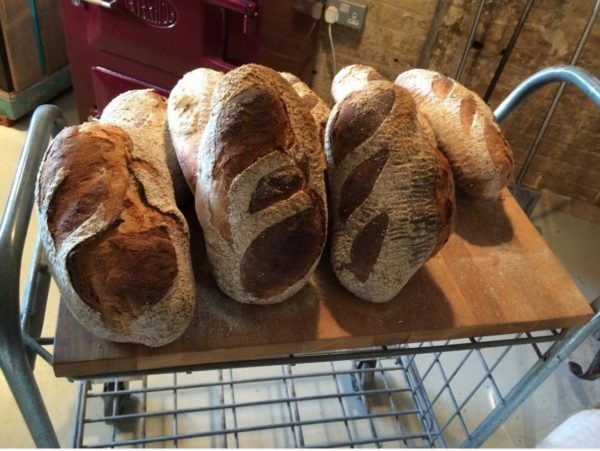 We handed over what is one of our most beautifully built projects and is now home to Pugmill Bakery and kitchen, a community resource for the whole area. 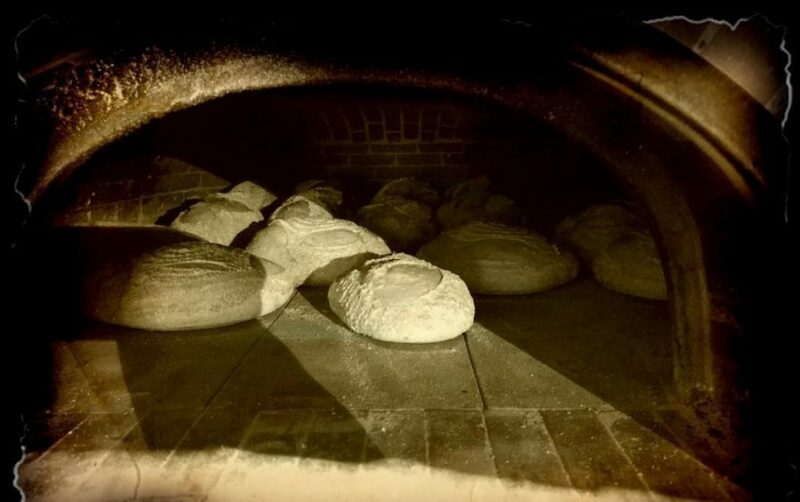 Several professional bakers have visited and used the oven and remarked how wonderful the oven is for baking.